USES A GARDEN HOSE FOR DISCHARGE HOSE. REMOVES WATER DOWN TO 1/4" OF SURFACE. PUMPS UP TO 1550 GPH. MUST PLUG INTO 120V GFCI OUTLET. NEEDS 3" MINIMUM WATER TO OPERATE. 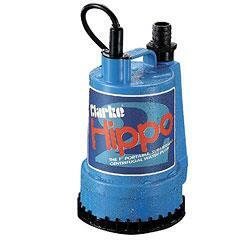 * Please call us with any questions about our 1 inch summersible pump in Wilmington, Middletown, and surrounding cities in Northern Delaware.